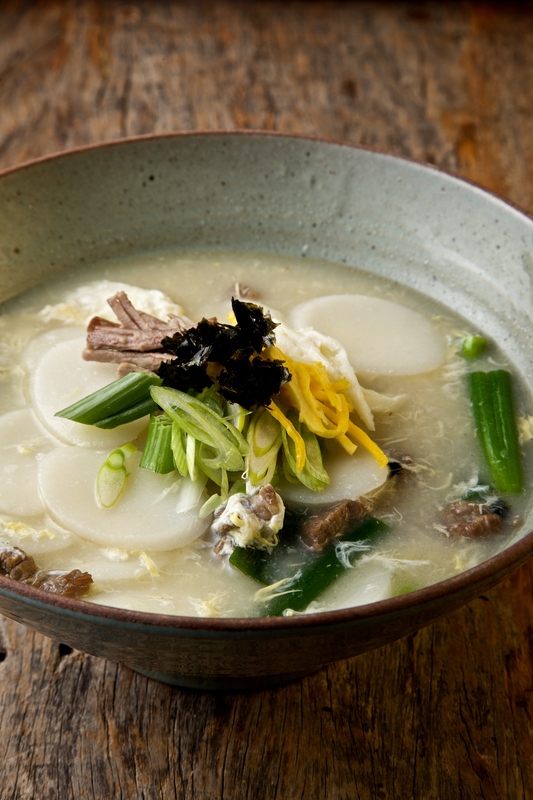 It’s a tradition in Korea to start the New Year with a bowl of this satisfying soup. 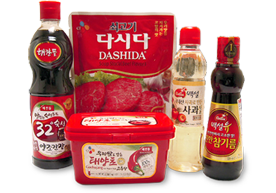 The broth works equally well with noodles instead of sliced rice cakes. When I make the noodle variation, I like to add a thinly sliced zucchini to the soup right when the noodles go in. For that version, I usually omit the egg, as the noodles thoroughly thicken the broth and the egg seems a bit like overkill. But, as always, to each his own! Combine the rice cakes with cold water to cover by 1 inch in a bowl and soak for 1 hour. Drain. Heat the sesame oil in a large heavy soup pot over medium-high heat. Add the beef and a pinch of salt and cook, stirring now and then, until just browned on all sides, about 5 minutes. Add cold water to cover, cover the pot, increase the heat to high, and cook for 20 minutes at a low boil, skimming any foam that rises to the surface. Add the dashida, drained rice cakes, garlic, and a large pinch of salt. Cook uncovered until when you taste a rice cake you can easily bite through and it isn’t opaque in the center (think of it like pasta), about 8 minutes. Add the scallions and cook for 1 minute. Stir the soup with a large spoon and pour in the eggs while stirring. They will cook instantly and break into small, feathery bits. Ladle the soup and sliced rice cakes into bowls and crumble a piece of seaweed over each serving.